Amanda + Trevor have an easy way about them. Casual and laid back. I love that we can joke about finding enough remnants in a child's carseat to make a handful's worth of a snack-and then actually go scrounge for it! Parenthood for the win! Every child has a challenging session here and there-today was Blaine's turn. But, that makes every smile you see below an even bigger success story. 'Cuz, dude, teeth hurt and it's hard being a 1-year-old! More snuggles and fun candids: Look at the ear-to-ear grin on Blaine!!! A few more of Graham and Blaine joined our fun! Amanda + Trevor: You guys are wonderful!! Thank you so much for being in our lives-we have to get together more often! 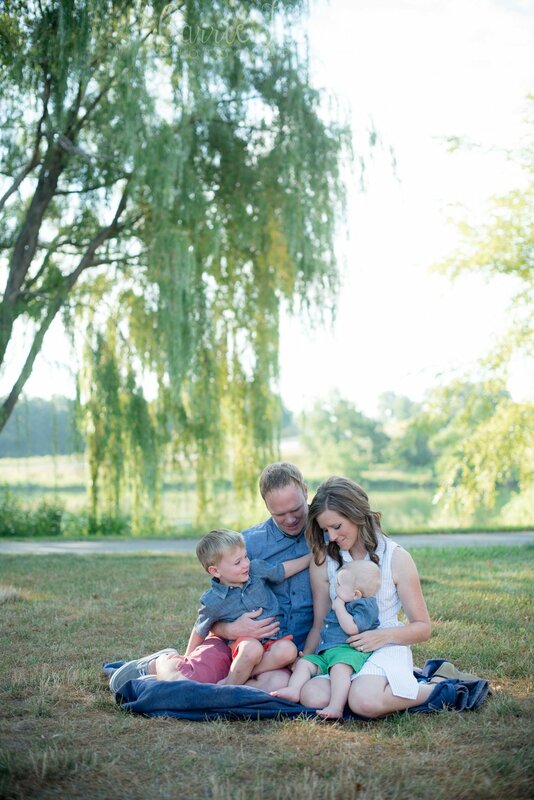 Your family is absolutely precious and I love that your boys have your eyes, Amanda! Here's hoping you enjoy the remainder of your summer!